Just a few months ago, Sid Agrawal, the chief operating officer of a 4-year-old semiconductor start-up in Santa Clara, Calif., was opining on the Silicon India site about the technology industry, noting that "green technology is the buzzword of the day" and bemoaning the challenge of "hiring good analog designers." On Friday, however, Agrawal, 56, became one of three victims in a fatal workplace shooting that has saddened friends, colleagues, and family members, and left Silicon Valley employees -- already shook up over constant reports of layoffs and bad economic news--feeling all the more uneasy. "Silicon Valley has lost a great warrior," said Deepak Bhagat, a close friend and fellow alumnus at the Indian Institute of Technology, Kanpur. Bhagat said Agrawal wasn't someone who talked a lot, but what he said was "loaded with wisdom." The tragedy unfolded at almost 4 p.m. PST Friday, as police officers responded to a report of multiple gunshots fired at a Santa Clara office park on Scott Boulevard in a suite occupied by SiPort, which makes digital multimedia broadcast chips for mobile markets, according to the company Web site. Dead at the scene were Agrawal of Fremont; Brian Pugh, 47, of Los Altos, who was vice president of operations; and Marilyn Lewis, 67, of San Jose, who was head of human resources. The suspect, Jing Hua Wu, 47, of Mountain View, had been terminated from his position as an engineer for SiPort and reportedly asked for a meeting with his former employers to talk about his employment. He allegedly shot and killed all three victims with a handgun and fled the area in an SUV, police said. 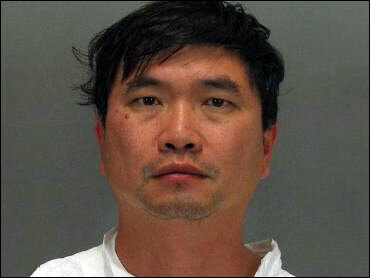 At about 10:45 a.m. Saturday, Santa Clara police arrested Wu on public road in Mountain View and booked him on three counts of homicide. His arraignment is scheduled for Wednesday morning. Initial stories widely reported that Wu had been laid off from the company, but SiPort on Saturday issued a statement clarifying that Wu was terminated and SiPort has never had any layoffs. "The entire SiPort staff and board are in mourning," Aiman Kabakibo, the new CEO and company founder, said in the statement. "We are a close-knit team of engineers and entrepreneurs who built this company together." Santa Clara Police spokesman Lt. Mike Sellers said the incident, especially amid the economic climate and continued layoff announcements, has triggered many questions about office security. So much so that he had planned a small press conference Monday to talk about related securities resources and programs for companies. That said, however, Sellers sees Friday's shooting as "an isolated situation." The victims likely didn't suspect a problem, he said, or else they wouldn't have agreed to meet with the suspect. Still, the incident has people saddened and worried, said Seshan Rammohan, executive director of TIE (The Indus Entrepreneurs) Silicon Valley, whose members were friends and colleagues of Agrawal's "It's really devastating...and very sobering," he said. "People are very circumspect when they have to deal with layoffs and with terminations." Bhagat, who was with Agrawal at a dinner party two Fridays ago, said his friend was cautious about he economy in general, but seemed very confident about SiPort's position, as it recently got its chip working. With his industry experience at Adobe and Bell Labs and with two prior start-ups, Agrawa l-- who came emigrated to the U.S. from India in 1975 -- was a very "capable executive" who always "pushed the technology envelope," Bhagat said. Yet Bhagat too -- along with his colleagues -- said he can't help but wonder about how the shooting relates to the stresses of the economy. He got an e-mail from a colleague in India today who had heard about the killings and wondered, "Is this the tip of the iceberg?"